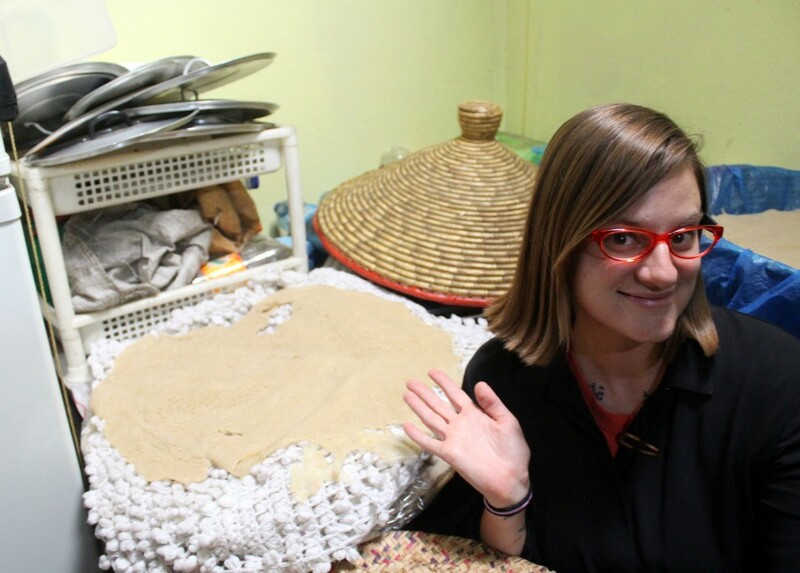 While doing a private cooking class in Ethiopia, I had the joy of making my own injera from scratch. 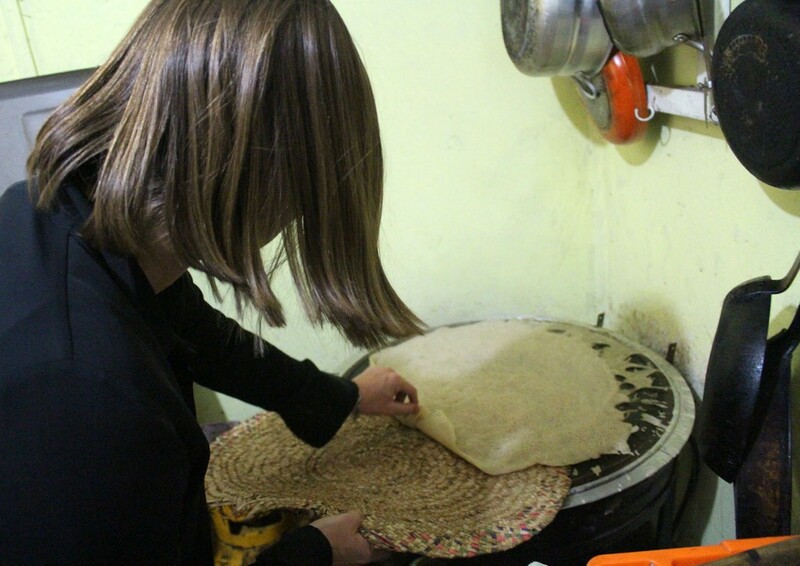 Injera is a yeast-free, gluten-free flat bread made from teff flour. As you can see from the photos above and below, my first attempt at making injera went a bit astray — the batter splattered too much on the top. 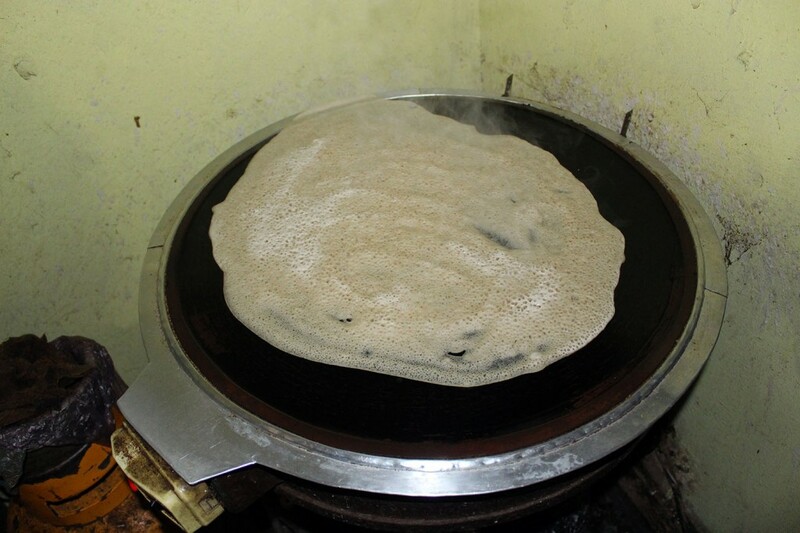 Regardless of its strange shape, I felt so proud of my first injera while watching hundreds of bubbles form as it cooked. 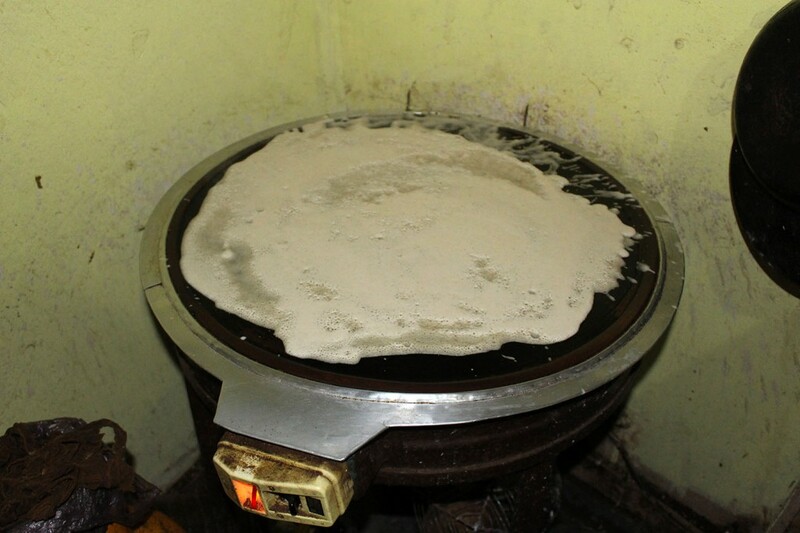 Taking the injera off of the heat proved just as difficult as pouring the batter in a perfect circle. But practice makes perfect, and my second injera was significantly better than the first. My Ethiopian cooking teachers were proud of my steep learning curve — we all celebrated with cheers when it emerged without splatter. After cooking the injera and shiro, I had the delight of tasting them in tandem. 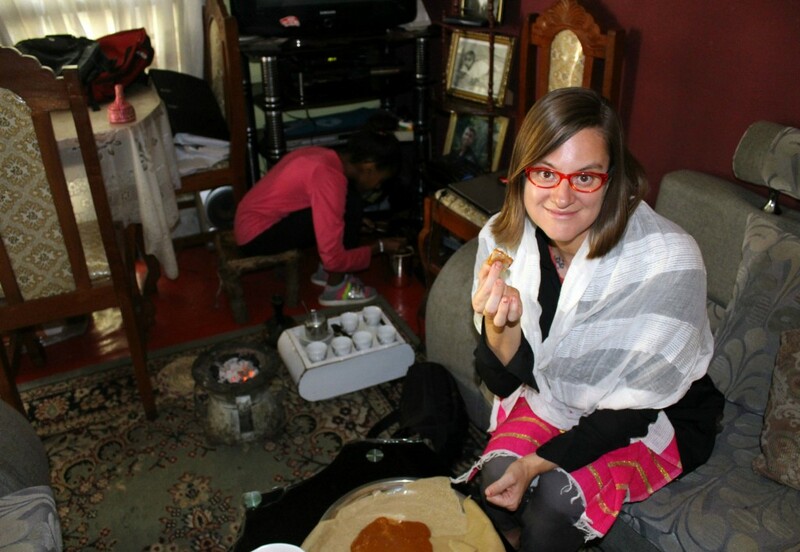 Since I am addicted to Ethiopian cuisine, it was a dream come true to make my own injera and shiro in a friendly Ethiopian home. My next task is to cook the same dish at home in the Sultanate of Oman.